We continue to pack up our things to move to our catamaran. I find that leaving our house is as much a mental exercise as it is a physical activity. We had planned to be camping at this point to allow our painters to work unencumbered. Instead, the painters have arrived, and we continue to mill about in our kitchen and office. We have pitched our tent in a campground. But, our tent has sat vacant for two nights. Here is a picture of our tent that I took last summer. On our North American road trip last year, we spent 60 nights in our tent. In a roundabout way, our tent was one of the catalysts behind our decision to downsize and move to a sailboat. 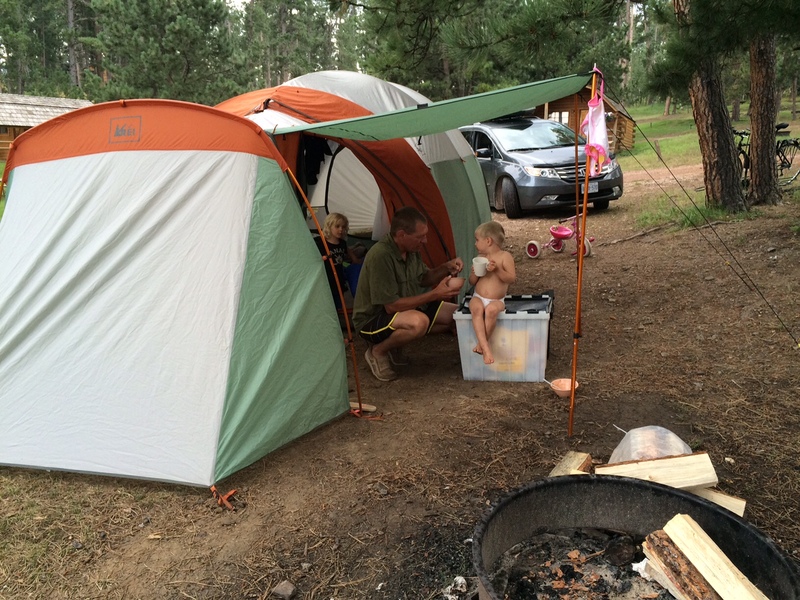 But, saying that we enjoy camping is altogether different than making a tent our temporary home. Eventually, sometime this week, we will take the leap and camp, but for now, I am enjoying sitting on a comfy bed, in a warm house, while listening to the sound of rain.